short or long, images or text, designed for a quick dip or a deep dive? websites need to be everything to everyone. conjuring “oohs” and “aahs” from internet freaks while also pleasing older, lethargic, not-terribly-bothered “softcore” users, more at home with newspapers and books, but unable to avoid the omnipresent internet entirely. and this brief description in itself gives us the essence of the design concept: keep it simple, all ways round. it’s not just the exhibition title, “karin sander: karin sander” that gives you a double-take: is it meant to be funny? or is repetition perhaps state-of-the-art art? and that other expectation – of carting the art home with you in the shape of a hefty wad of printed paper (“chlorine-free”, natch) to be decoratively displayed on your coffee table – is short-circuited, too. here, the art world’s rituals are elegantly celebrated by subverting them and simultaneously offering something new and different. wundersame worte, groteske gedankenfetzen, bizarre bilder – was verbirgt sich hinter diesen zeilen? ist das überhaupt ein richtiger text? oder ist es vielmehr ein gedicht? tatsächlich sind es gesampelte überschriften aus dem feuilleton der süddeutschen zeitung. es spielt keine rolle mehr, über welchem artikel sie einmal standen und was sie dort gemeint haben. entscheidend ist, was sie jetzt persönlich darin lesen, welche bilder bei ihnen entstehen. schönen umbruch zum neuen jahr. the company’s new head office is like a small town, made up of fourteen angular buildings facing each other in pairs. each pair of buildings forms a kind of cube, and at basement level they are all connected by an underground mall. the architecture is all about squares. the company’s logo is a square, too – bright red, with white letters. the shape and lettering of the wayfinding signage evolved quite naturally from this pre-existing situation, comprising two square red surfaces set at right angles. 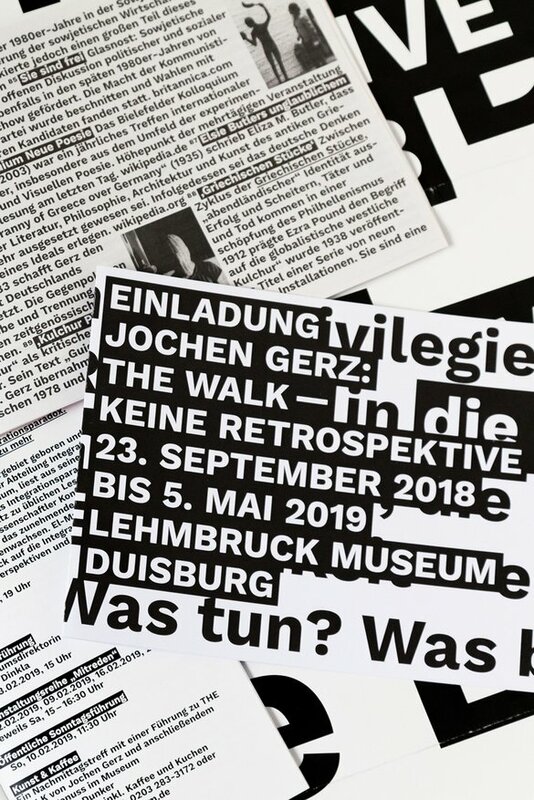 with typically-swabian resourcefulness these signs – in various sizes – can be located on ceilings and walls or wrapped around corners; they can project from surfaces as flag signs and they can also stand upright on the ground. 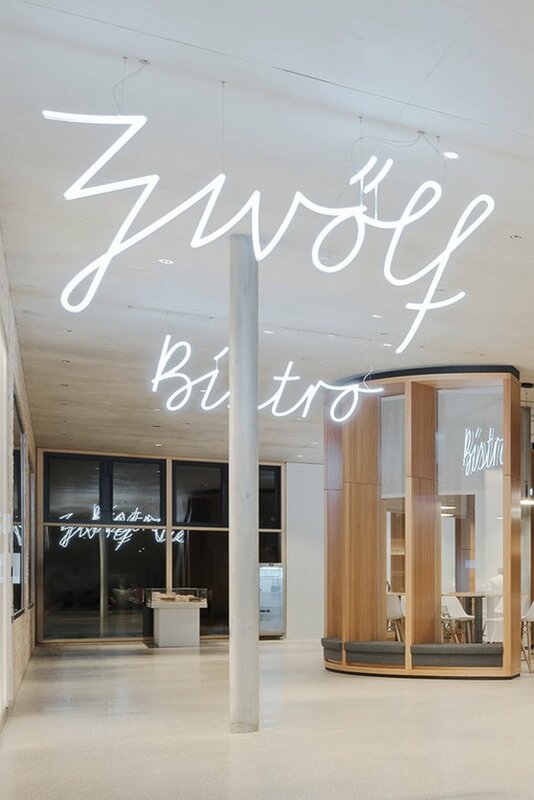 with also-typically-swabian understatement this design melds readily and unfussily with the campus architecture wherever wayfinding guidance is required. a quotation is a wonderful thing: you don’t have to think for yourself, you simply step onto the shoulders of some intellectual giant or other. in this case, though, things are rather different. because the computing center’s director is borrowing a quote, but also thinking for himself and thinking outside the box, as well. which is why he chose a statement by media artist peter weibel to adorn his new building. the wayfinding system is a STRUCTURED PRODUCT. 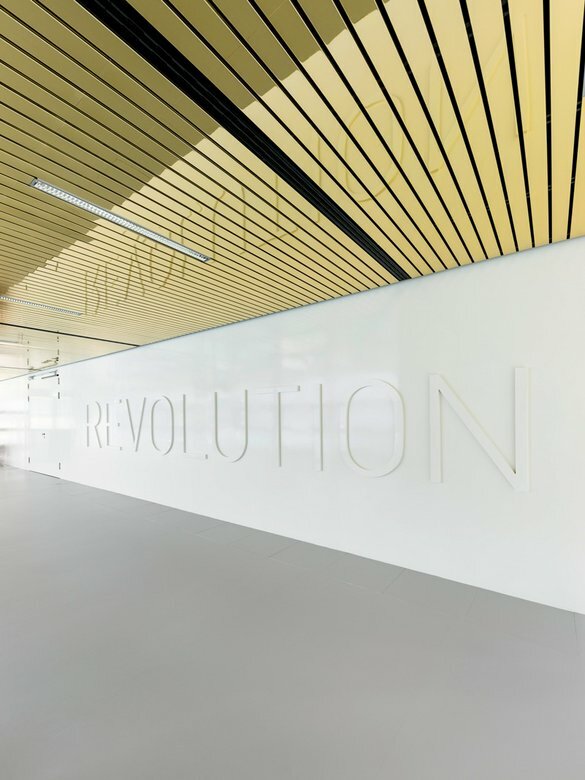 its ACCOUNTING RATIO is the grid of equilateral triangles that forms the basis of the building’s architecture: this architectural design feature is the BENCHMARK used to develop all the wayfinding applications. 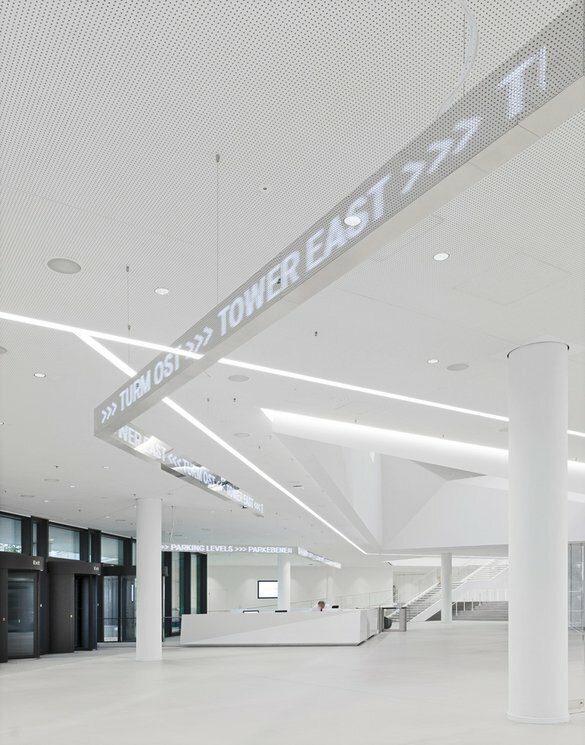 the INITIAL PUBLIC OFFERING is in the reception hall, where visitors and staff are greeted by an apparently FLOATING zigzag ticker strip – a FRIENDLY TAKEOVER of the space by a HIGH FLYER that takes up the triangular patterns of the architecture and SHARES images of the surrounding space on its reflective surface. often an organisation‘s presiding spirit is already apparent from its logo. does it promise more than the organisation can deliver – or does it tend towards modesty? is it pompous, or bland? is it cheaply made? does it perhaps even send out a friendly signal? the logo for gwzo (the leibniz institute for the history and culture of eastern europe) has been given a makeover. now it wears a simple but beautiful outfit with just a hint of extravagance. 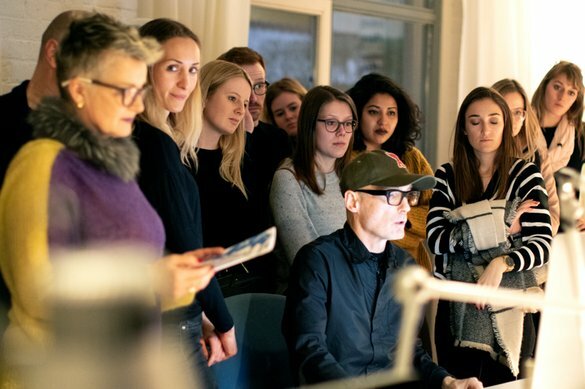 sonja frick and börries hessler with their students from schule für gestaltung st.gallen visiting büro uebele. lecture by andreas uebele in paris at the école estienne. 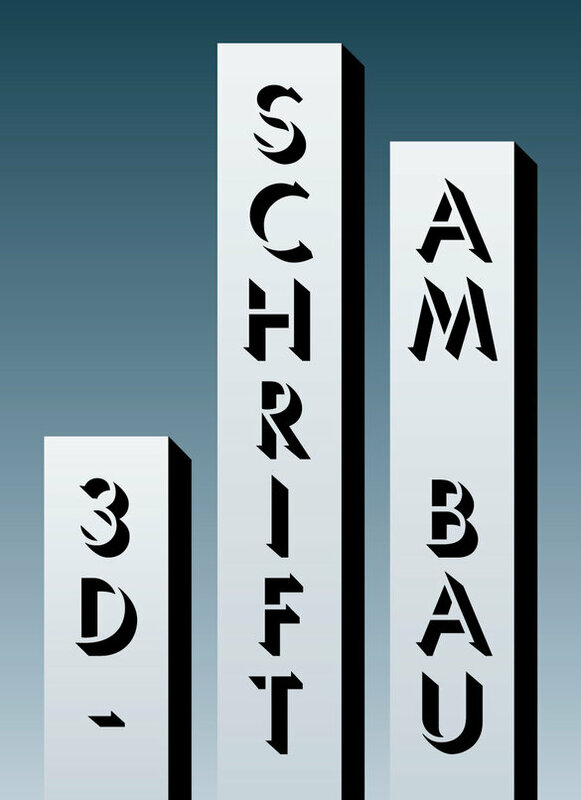 on 07.12.2018 the exhibition «3D-schrift am bau» opens at museum für gestaltung in toni-areal, zurich. 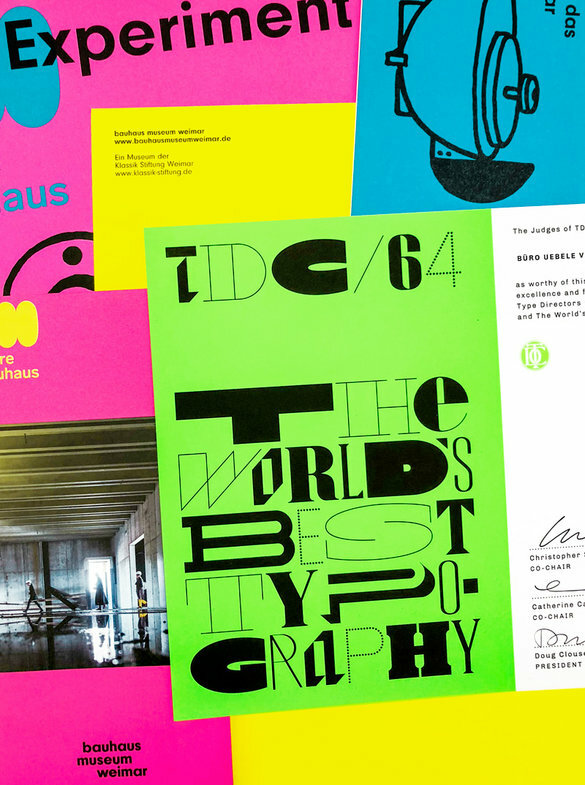 you can see works by national and international design offices. we are happy to be a part of it. vernissage: thursday, 06.12.2018, from 7 pm, entrance hall toni-areal, zurich. 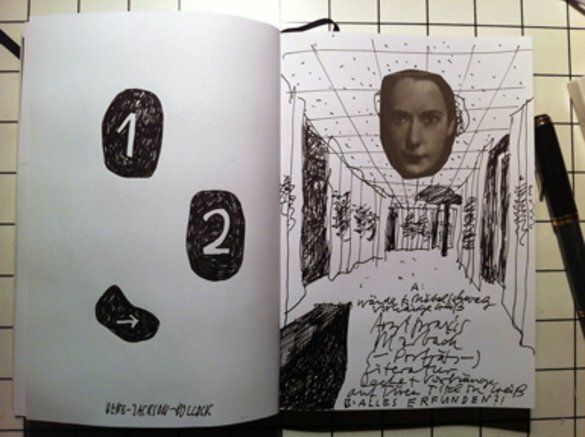 but a clever editor, who also mentions the participating authors and graphic artists, namely us. 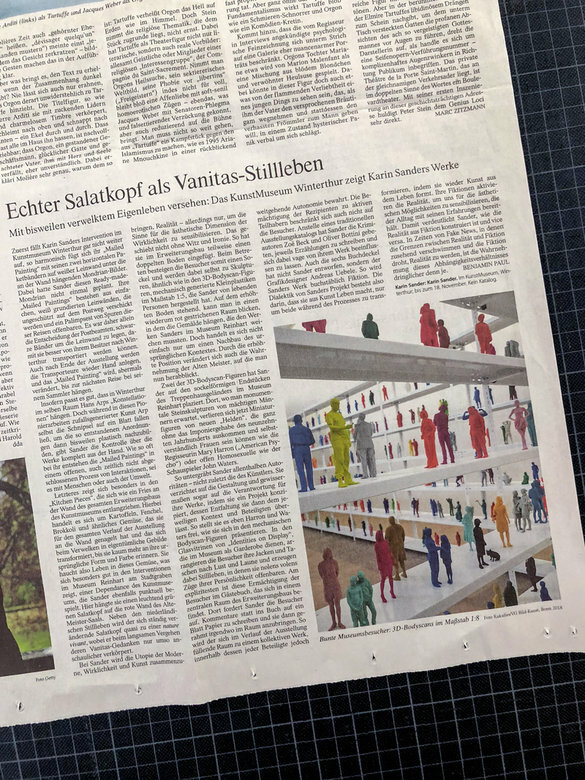 many thanks to benjamin paul from the frankfurter Allgemeine Zeitung, who in the feuilleton on 25 september 2018 discusses the exhibition of karin sander at the kunstmuseum winterthur and reinhart am stadtgarten. 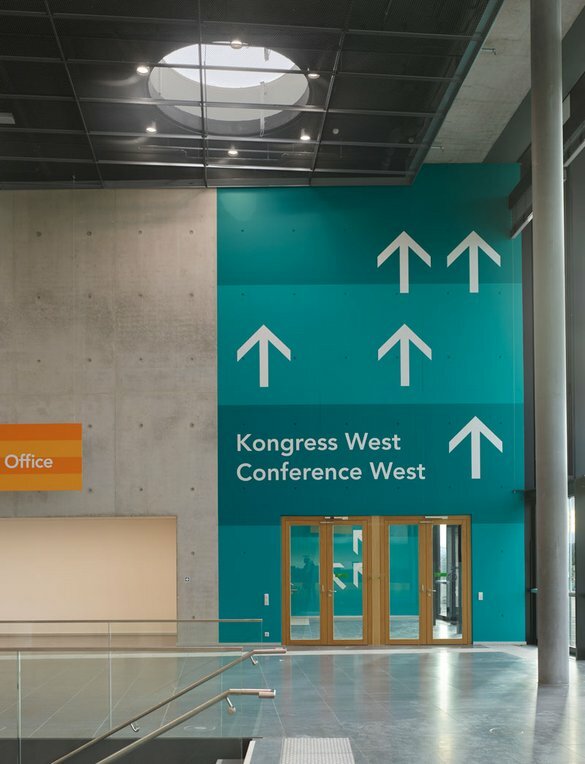 we are happy to announce an honor award for the signage system of the german centre for neurodegenerative diseases and a merit award for the facade design of rent event tec. "Wayfinding without words! The jury was struck by the simplicity and difficulty of obtaining something so minimal and restrained. The bold and expressive solution, based on the needs of the building’s users, makes this system pure and meaningful to users." "Creative problem solving at its best. Love the execution of this bold supergraphic." 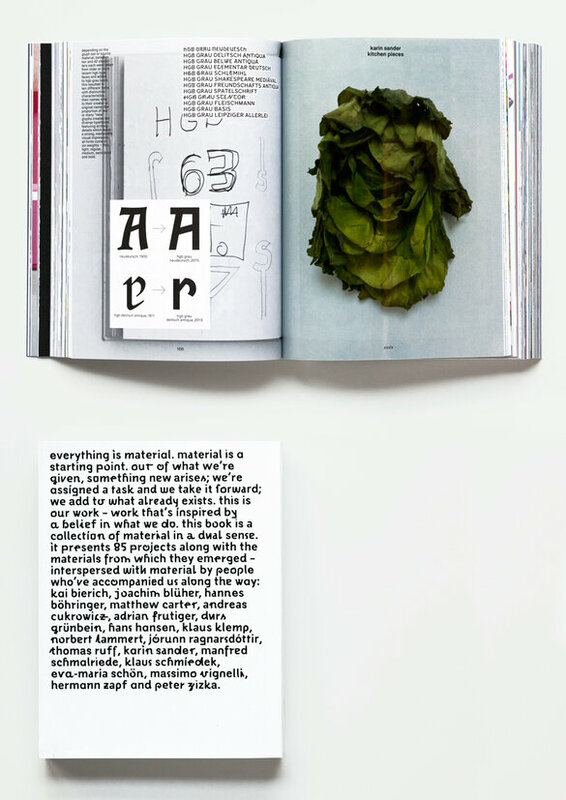 andreas uebele talks about typography, beauty and writing. friday june 8th, 2pm. 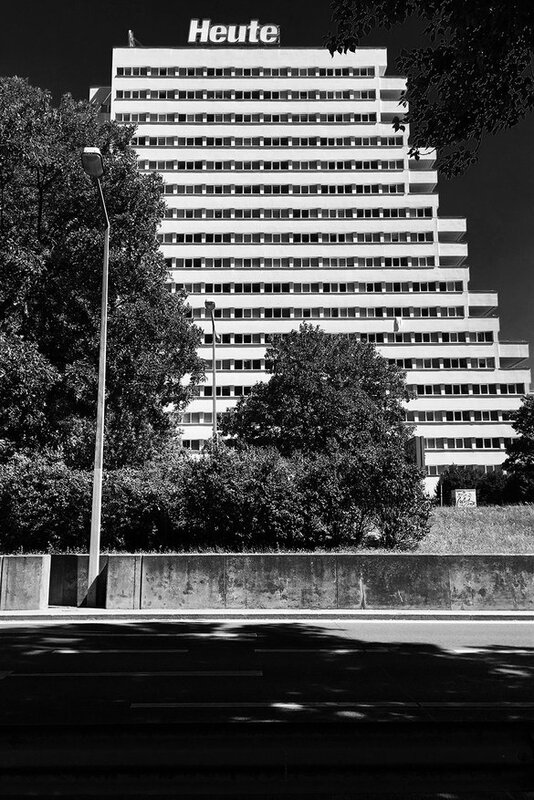 RheinMain University of Applied Sciences, campus unter den eichen, raum b001. massive typographical attack! 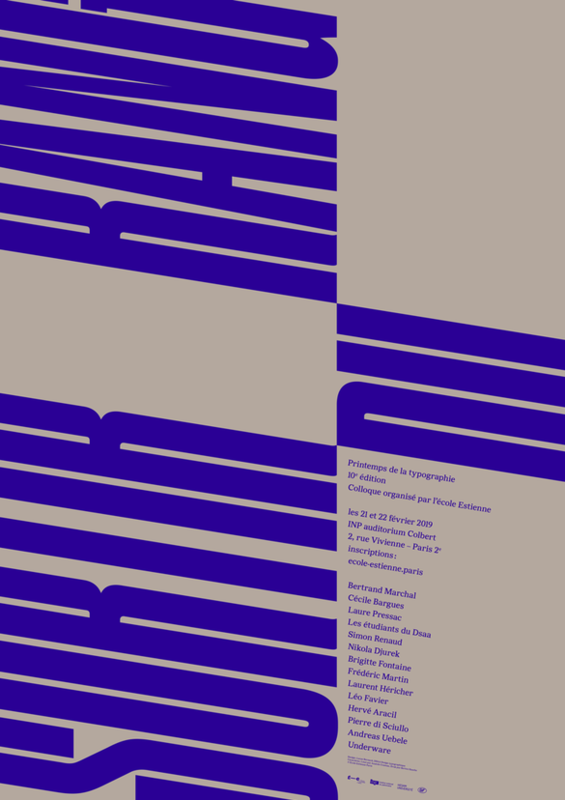 our new typeface massimo grafia is now available. 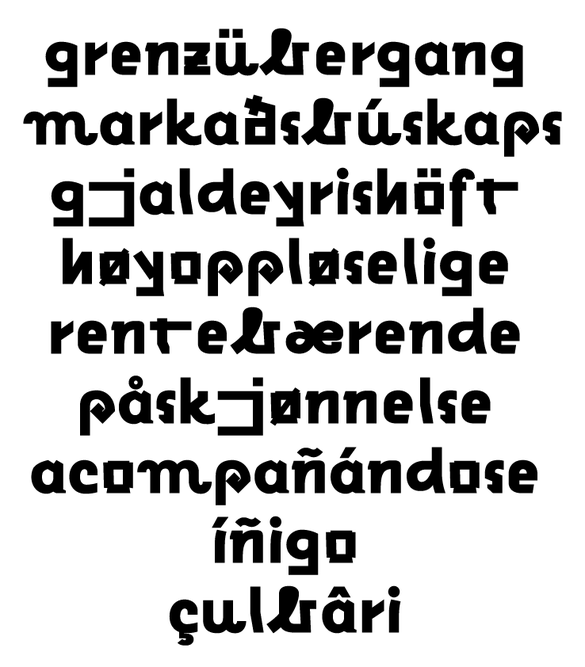 typedesign together with gabriel richter. 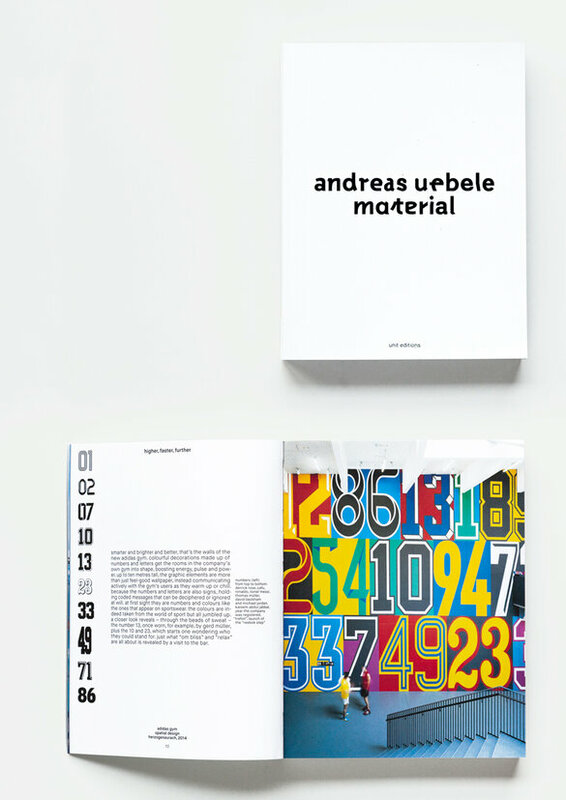 our monograph of works »andreas uebele material« will be exhibited during the »28th international biennal of graphic design brno 2018«. 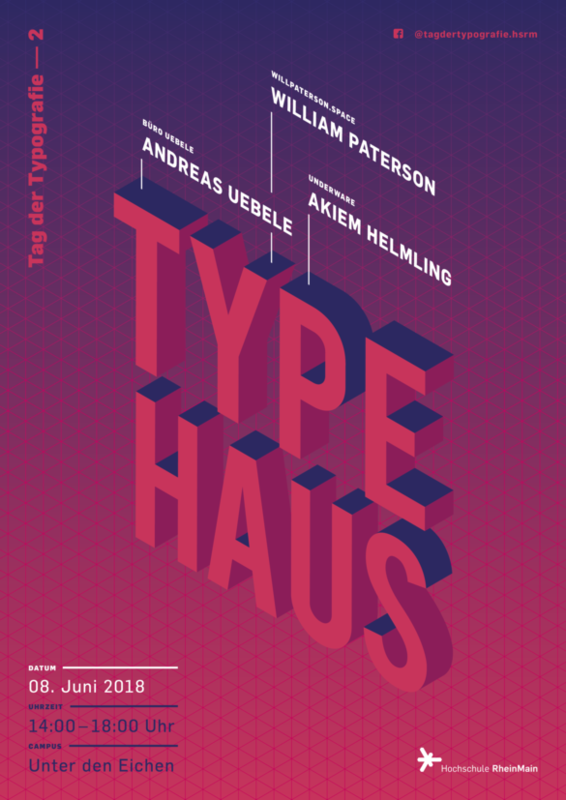 andreas uebele speaks at the leipziger typotage on April 28th 2018.
ein wort auf einem haus in wien erinnert uns wieder einmal daran, doch bitte ganz entspannt im hier und jetzt zu leben (lokkaisi). es spielt keine rolle, dass die schöne beschriftung nur für das gleeichnamige österreichische presseerzeugnis wirbt (zitat: Mama und Tochter: »Unsere neuen Brüste lieben wir«) – wobei, wäre es nicht schöner: wir lieben unsere neuen brüste? ach egal, schrift im raum lieben wir. there is beauty in the broken. without the fragile and the courage, risking to create something bad, there is no beauty without destruction. in the streets of hanoi posters are hanging like newspapers on the wall. there you can read opinions about the city and quotes of goethe, which can be interpreted as comments about hanoi. 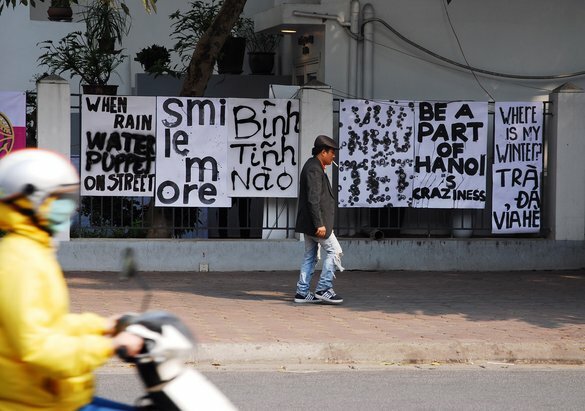 these posters were made during a workshop with andreas uebele, organized by the goethe institut hanoi. so muss es sein! glückliche gesichter bei der urkundenvergabe. 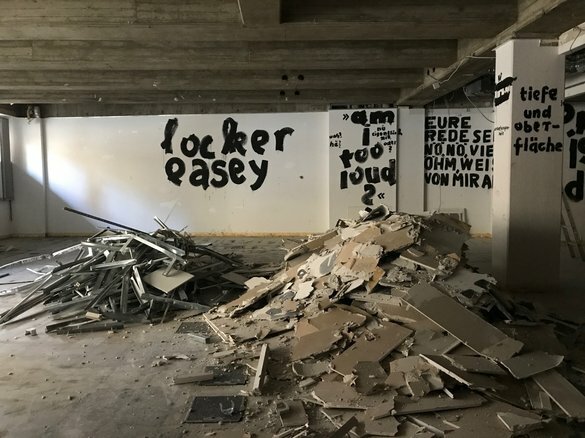 die zeremonie wurde erstmals an der hochschule düsseldorf vollzogen? nein, gefeiert! mit der hilfe der boy group raoul gottschling und tobias hönow und der jury mit saskia diez und florian lamm und jakob kirch und peter ippolito von ippolitofleitzgroup. wir gestalten identitäten für andere. gestern haben wir auch identität hergestellt, und zwar für unseren fachbereich. 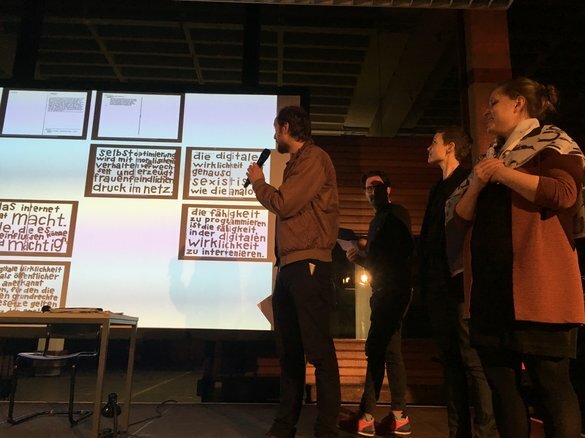 kleine persönliche freude: meine ex-tutorin katrin gruszczyk bekommt für ihre von mareike föcking und mir betreute arbeit (manifest xenofeminismus) einen der designpreise der hochschule düsseldorf, den wir bei dieser gelegenheit auch gleich ins leben gerufen haben. eröffnet wurde die veranstaltung mit einem eigens für diesen anlass geschrieben vortrag von dem philosophen prof. hannes böhringer aus berlin. der spiegel wirft das bild zurück und stößt den betracher vor den kopf. er zwingt ihn, das zu betrachten, was er kennt. der blick geht nicht weiter, man sieht bekanntes. wenn man den standpunkt ändert, wird das bild, das entsteht, ein anderes. das körperliche löst sich auf, wird verrätselt. ein trick, eine optische täuschung, die im raum eine schöne wirkung erzeugt. jetzt sieht man das, was nicht in der blickachse liegt. ein spiegelndes schild ist wie ein parfüm. es überlagert die wahrnehmung und bereichert sie mit einem anderen visuellen eindruck. a woman and a man. standing calm and still, wearing a knee-length dress and shorts. no specific fashion is discernible. these two figures have fallen out of time. yet they aren’t hermaphrodites – who’ve always missed out when the sexual categories are defined: we can see from the two figures that the man is probably a boy, the woman probably a girl. it’s not just that they’re almost exactly the same height: the female figure’s undeveloped chest, the shorts – which tend to be the preserve of the young – are sympathetic references to the un-sexual. a shared naïveté – or perhaps rather a shared innocence – overlays the stark division of the sexes. the form fulfils its function and reminds us of childhood. 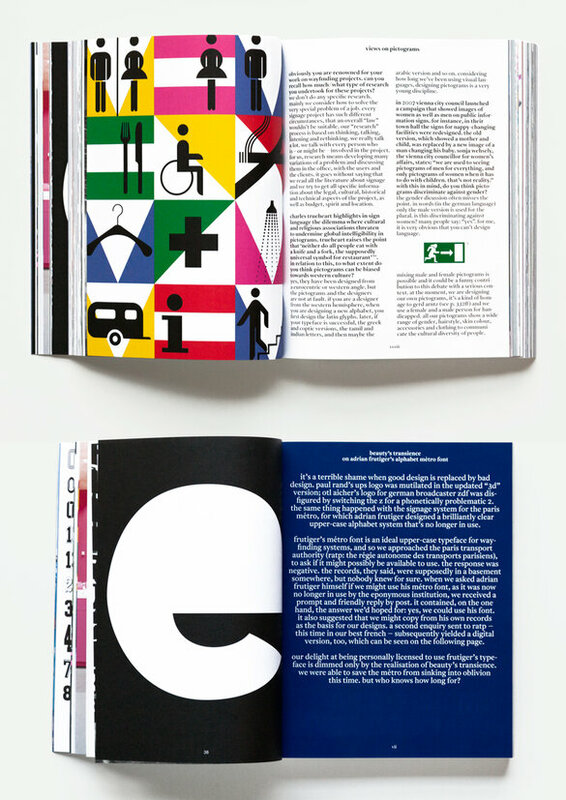 the figures aid wayfinding and tell us a tale of rediscovering a lost age. someone who is looking for the toilet comes to a door. he sees what we might call a humanoid figure. he sees a person. the body descends vertically from broad shoulders, the legs stand parallel with a small gap between them. aha, the viewer says to himself, this is the place for men. yet if the figure has a waist and wears a skirt-like garment it is equally clear – at least in the western world – that we have reached the ladies’ toilet. the fact that this information is understood globally is a tremendous cultural achievement – its importance cannot be overestimated. it is the translation of instructions, place descriptions or complex emotional states into an internationally comprehensible language – basically the invention of an autonomous picture-based language that functions across all national boundaries. together, scientist otto neurath and graphic designer gerd arntz laid the foundations for the international visualisation system we use today, which helps us communicate various important matters quickly and straightforwardly without using writing and words. smileys, emojis and emoticons are another wonderful example of this. 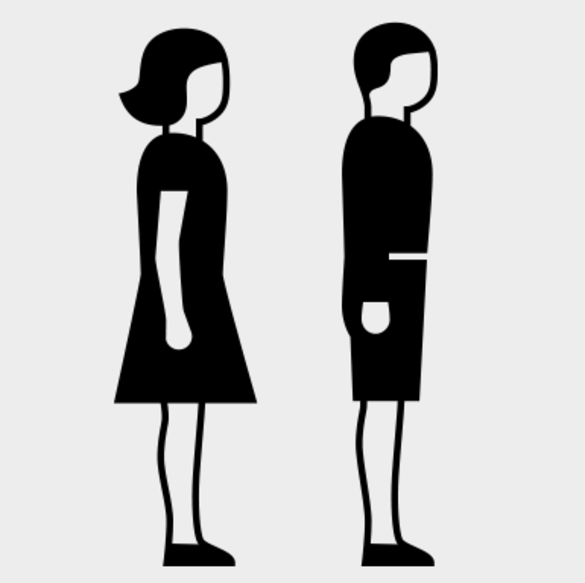 here you can see the beauty of gerd arntz’s original drawings: woman, man. smile. many designs are for the wastepaper basket. what a pity. but they are a good fertilizer for something new.